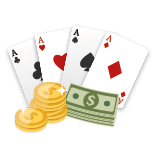 When it comes to playing online pokies, many sit themselves down, load up their dollars and play simply for the excitement and possible payout. While that is absolutely fine, there are some ways of playing online pokies which brings you the same excitement but ensures you get the best possible chances of hitting that jackpot payout. 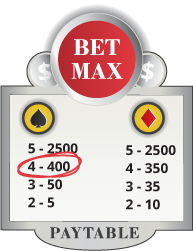 The first is a fairly simple one, but is still often overlooked by a lot of pokie players - you should bet maximum coins. Why? To open up the top jackpot on a machine - by doing so you increase your payout percentage in comparison to the other bet options open to you. Therefore, betting max coins increases your odds relative to betting smaller. When the online pokie game you're playing allows you to bet a range of coin denominations, you should drop down to a lower value and bet max for the same amount of money, rather than playing fewer, more expensive lines. This isn't something which is 100% accurate, but on the whole is a good rule to follow. Those of you who want to check through the math a little more can take a look at the pay table and compare for yourselves. 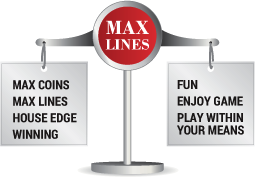 As well as betting maximum coins, you should also look to play maximum pay lines. 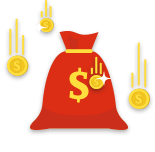 The biggest jackpots on offer are usually triggered more often with the maximum pay line bet - so once again you should always drop down the stakes to ensure you're playing maximum pay lines as well as maximum coins. One thing to take into consideration is that playing for the higher denominations does normally give a higher payout percentage to the player. However, the stresses this can put on our playing bankroll often outweigh the small mathematical gains - always try to play within your means to keep online pokies as fun as possible. Something else to bear in mind is the way pokie machines are built, either online or offline. They are designed to hold a small percentage edge on our wagers - the amount can carry from 3%-10%. For a whole variety of reasons, we can speed out play up; perhaps we're chasing the big jackpot win or losses from earlier in the season. Perhaps adrenaline has got the better of us. What this does is play into the math of the game, meaning you're accelerating towards the point where you can't outplay the variance. If you find yourself playing quickly, slow down! Enjoy the game play and you'll actually be doing yourself a favour mathematically. 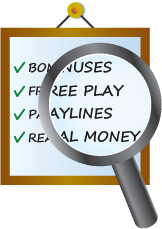 Gambling Variance � What Is It? The above leads us on to another key strategic point. All gamblers need to have a fundamental understanding of maths and variance. What is that? It's essentially the good and bad luck of gambling. If you flip a coin twice and get heads both times, you might feel like you've been incredibly lucky. Try and flip a coin 100 times and you'll soon find out your heads only come up around half of the time. It doesn't matter if you had two in a row to start with, you're just at the start of a longer gambling journey which ultimately flattens out to 50/50. Enjoy the good luck when it comes, but also appreciate that, when it feels like you're being exceptionally unlucky, you're simply in a phase which does even itself out to the percentage payout of the pokie. With good and bad luck come winning and losing days. It's always helpful to set yourself a loss limit or a win goal before you start the session. 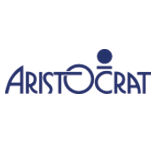 You might take AU$50 and decide that, once you get that to AU$100 you're going to cash out. You may also decide that once that AU$50 is gone, you're finished for the day. This allows you to budget well enough to still enjoy your gambling even on a losing day, while also giving you a time when you should take the winnings before variance evens out with you! Those who play purely for the fun of the game may chose to ignore the win goal, just so they can play some more - that's fine if that's what you've sat down for. If you're looking to play pokies a bit more strategically though, do consider utilizing some win goals. Lastly, and perhaps most importantly, is to understand the game you're playing. 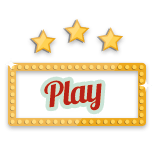 Sit down and spend a little time playing free play to understand the game mechanics, how to play the bonus games or simply knowing where the pay lines are. The few minutes invested here could save your dollars when playing the game for real money . Above all, make sure you're enjoying playing them, too - no matter if you're playing online pokies for a short-term thrill or with a more ambitious mindset, remember it's all meant to be good fun!